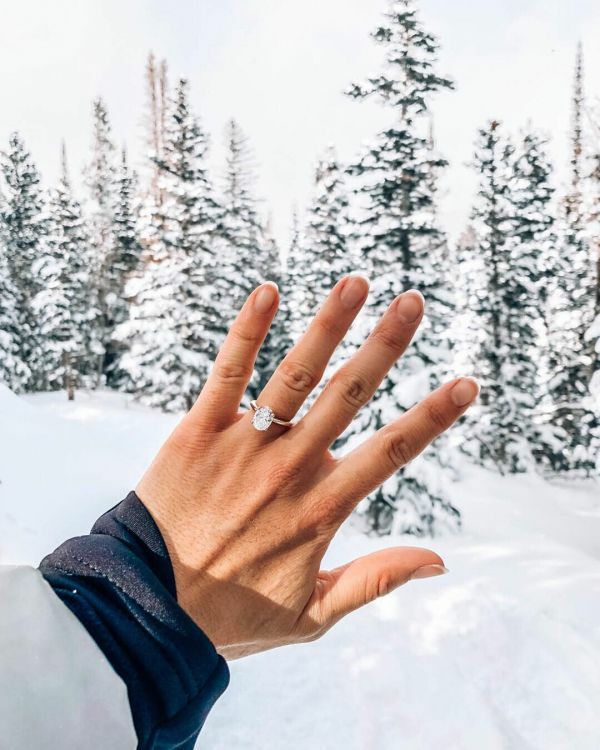 He just popped the question and you want to shout it out from the top of the world. But girl, social media first! Get over the duck-face and mirror selfies because you gotta snap that shiny new rock in more Insta-perfect ways. Something that is just perfect for the social media and is worthy of all the likes and love reacts. A picture is worth a thousand words and when that picture features a bling like yours, then it is worth a thousand more. 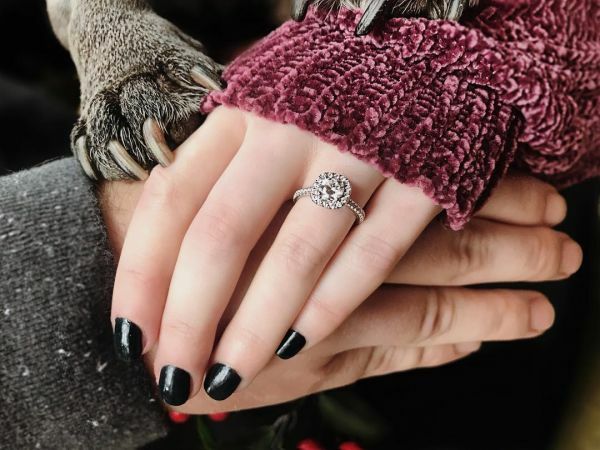 We scoured through social media to find out some creative ways in which modern brides are announcing their engagement and we stumbled upon these priceless ideas. 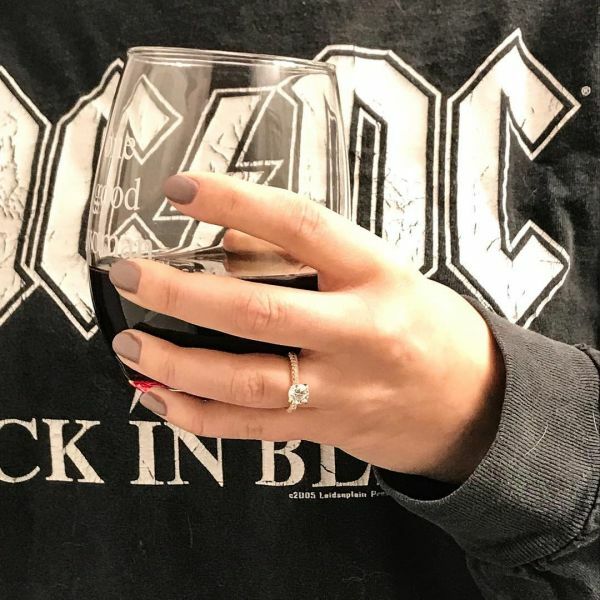 Who says she is flaunting her engagement ring? We think she is simply holding her bae's hands. Don't you think so? 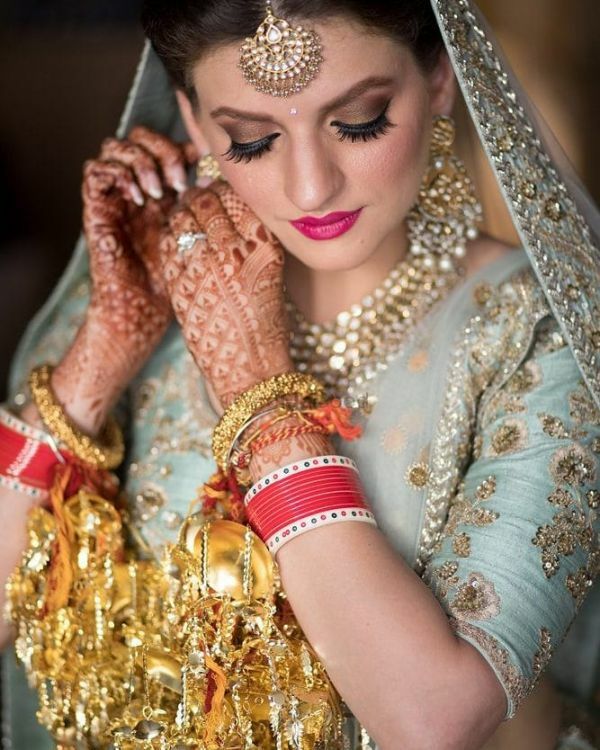 This is perhaps the most popular option among brides these days and for good reasons. If you think holding hands is too cliche, just embrace each other like this couple. 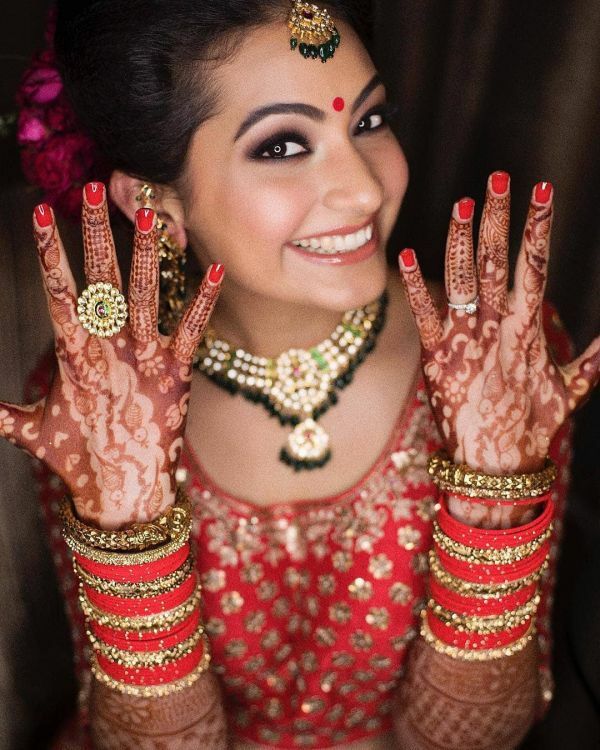 Wedding photo shoots are incomplete without pictures that show brides touching up their makeup just before walking down the aisle. 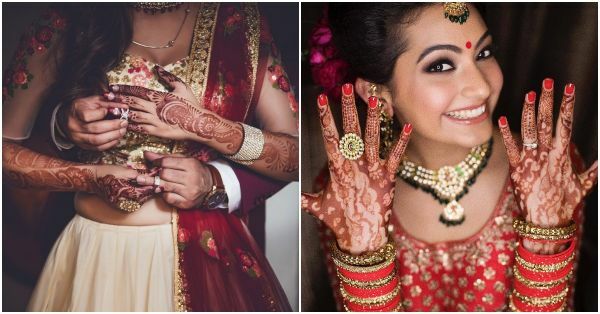 Why not use this as an opportunity to flaunt your engagement ring like these beautiful brides? 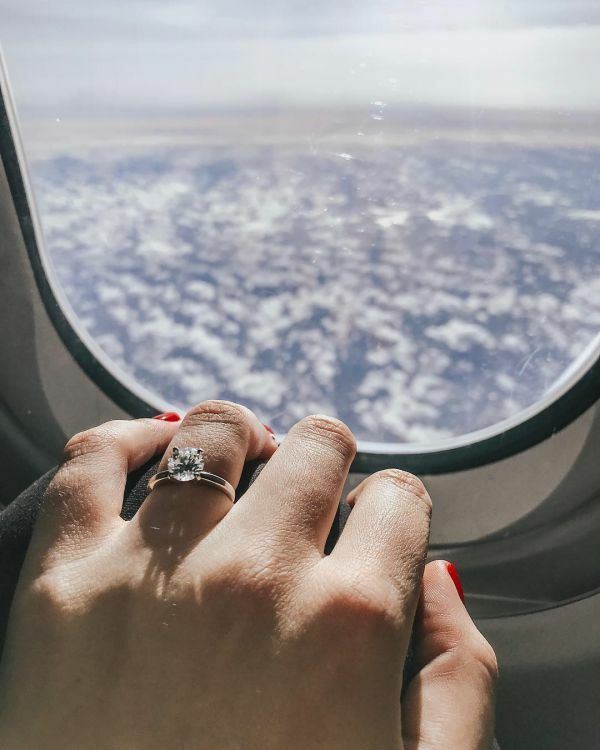 You are engaged and we know you are on cloud nine! So, there is no place in this world better than the clouds to flaunt your happiness and your new rock. We just can't handle the level of cuteness in this picture. 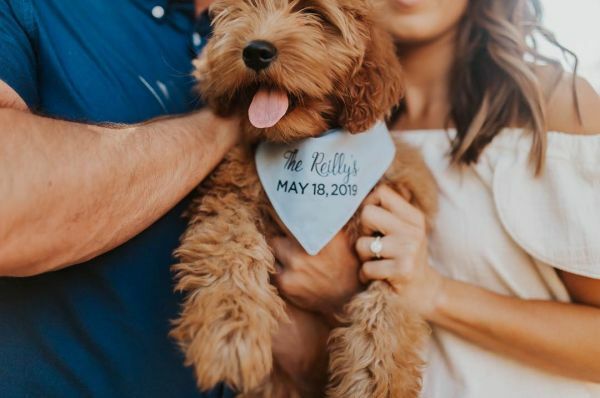 There is something super-cute about brides and dogs! 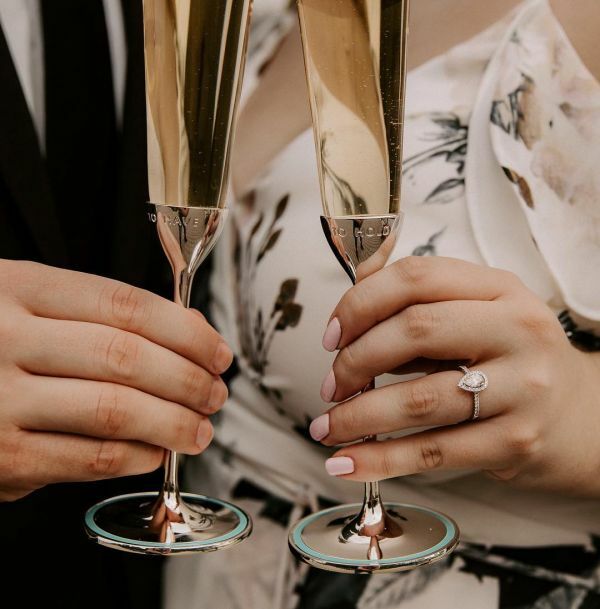 Everything about this one gets an "I Do" from us. How cute is this? 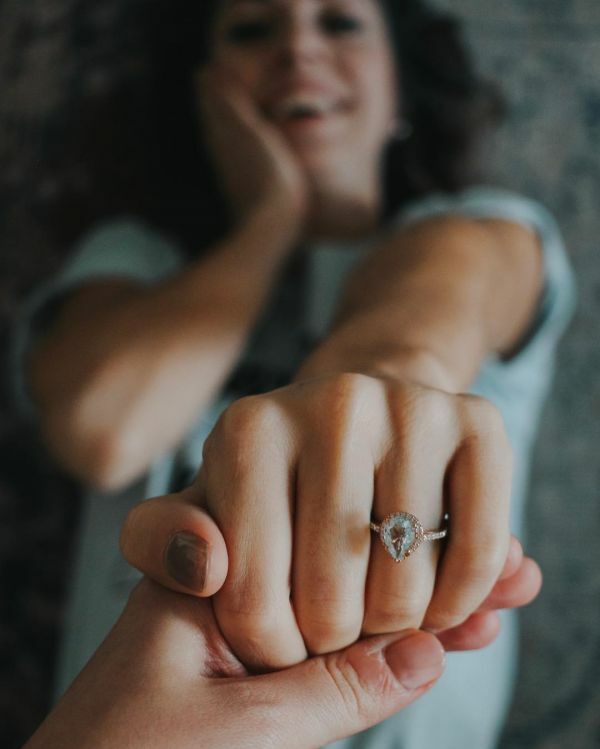 Add a twist to your engagement selfie by posing in style like this couple. And why not, that sparkling pear cut definitely needs a celebration. Another one for you with the glass. On A Backdrop As Killer As This! 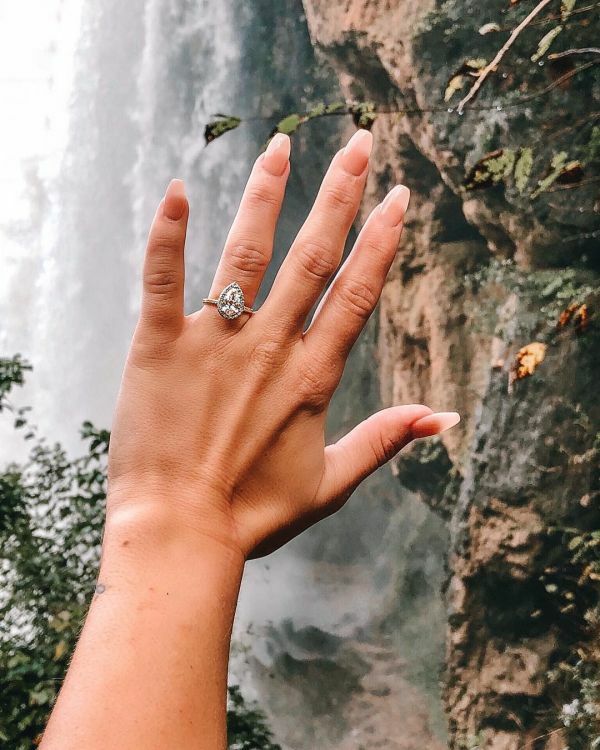 We simply can't get enough of engagement rings, especially when the background is as scintillating as this and the bling as stunning as this. 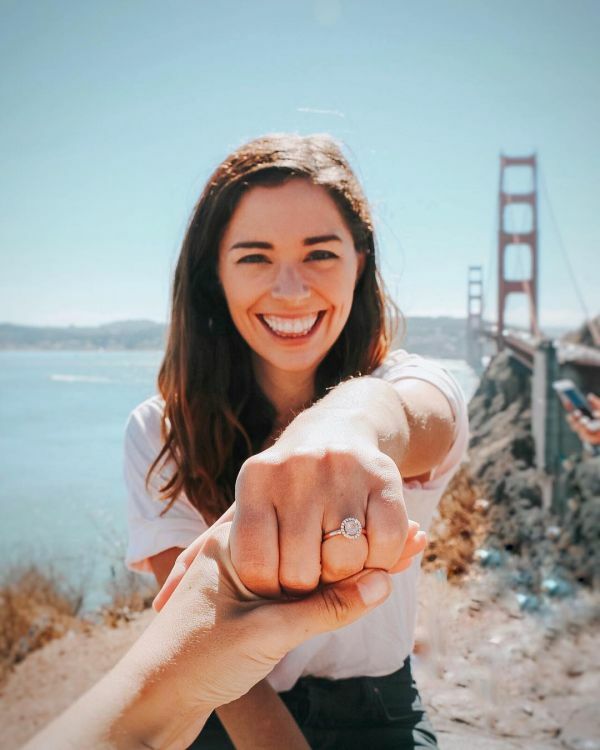 The to-be-brides are choosing some amazing locations to announce their engagement on the social media. This one is the perfect pose for the bride who doesn't need a reason to travel.